Fast becoming SCP’s favorite new UK Girl group, ( The Saturdays and Girls Aloud still have our hearts), Little Mix have returned different future pop sound for new track and a very entertaining video to match. The clip see’s the girls as glammed up secret spies taking revenge on their men by kidnapping them due to their obessession with them, in a scene’s similar to the film Sin City. Its fun and becoming a fav at SCP HQ, check out the video below..! 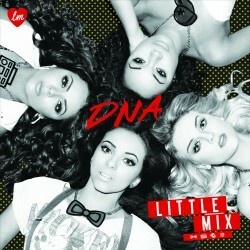 Little Mix are soon to be in Australia and debut single Wings is available on iTunes now..!